When looking at the evolution of the Polaris lineup, it’s obvious they have made strong and steady progress with every new creation. The RZR is a prime example of this manufacturer’s desire to reach new heights of innovation and automotive excellence. When you need the best selection of Polaris RZR parts, we are the top destination for all your needs. With an inventory spanning every possible aspect of this vehicle, rest assured you will find the right solutions to help this powerhouse perform the way it was intended. There are a few features that set the RZR apart from the crowd. When the manufacturer introduced their Ranger lineup, it took the automotive world by storm, but they knew there was still a need for a smaller, sportier vehicle that had the same level of power but with a more compact design. This need gave way to the RZR and the rest is history. With a parallel-twin 800cc, four-stroke motor and a smaller body, this model became an instant favorite for those looking for the power without the bulk of other models. Since the original, they have released the RZR S which offers a wider stance, the XP 900 for racing, and the RZR 570 which offers a more affordable model for those on a budget. 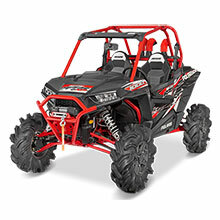 Regardless of which version of this vehicle you have, we offer all the Polaris RZR parts you could possibly need. Our inventory of Polaris RZR parts features OEM solutions so you can rest assured they are made with the right specifications for the desired outcome. With a focus on supplying you with the only best in high-quality Polaris RZR parts, you can buy with confidence when you shop our selection. In addition to offering a wide range of series and years for this model, you will also find an extensive inventory covering every imaginable aspect of your vehicle. Whether on the hunt for spark plugs, fuel tanks, brakes, or decals, we have it all in one convenient place with our inventory of OEM parts.